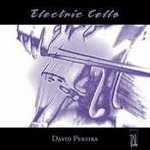 Electric cello / David Pereira, cello. Liner notes include programme notes and biographical notes on composers and performer. Score & Part: Echo II : for 'cello with stereo tape-delay system / Roger Smalley. Score: Memorial : for amplified cello with digital delay / Andrew Ford. Score: Welcome to the Hotel Turismo : for cello and CD/CD-ROM / by Martin Wesley-Smith. CD: Wavesongs / Alexander Baillie - cello ; Andrew Ball - piano. CD: Real + imagined / Stephen Cronin, Louise King.